We believe you share with our passion for conservation of the environment and support our cause with great interest and enthusiasm. 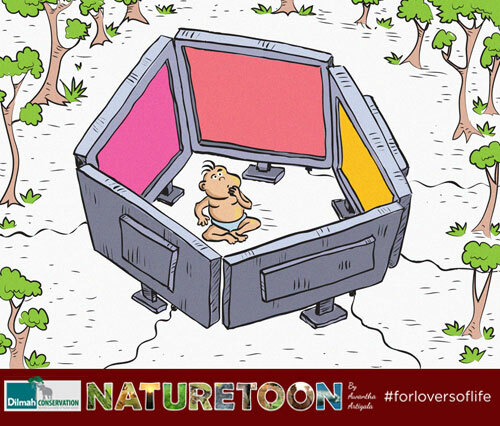 Here, we're presenting you with the latest from our fabulous collection of Naturetoons. 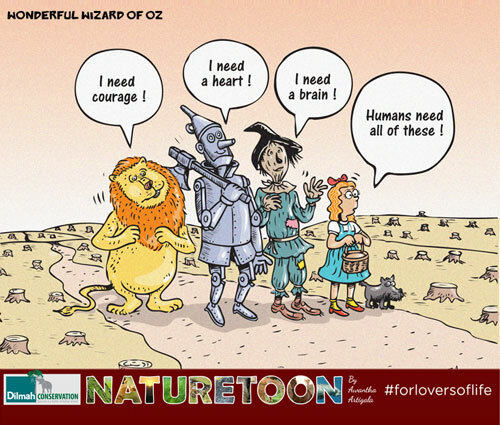 We'd love it if you could take a moment to comment on it on Dilmah Conservation / Naturetoons Facebook page. We're certain it will make a positive difference in support of our good cause, no matter how small. Besides that, it’s quite fun to see so many different creative perspectives at work. 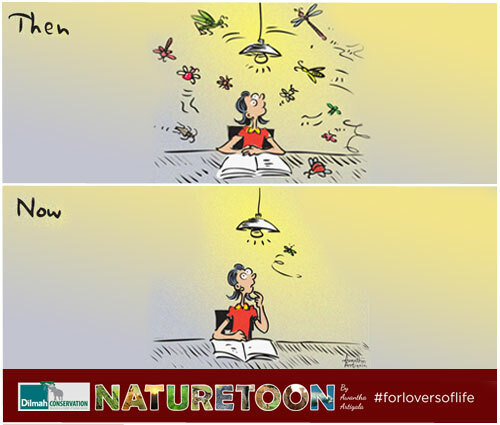 Caption for this week’s Naturetoon : "Fireflies have captivated our imagination with their choreographed dance of lights, each species emitting a pattern distinct from the other. These dainty creatures are among the 900, 000 species of insects that have been recorded from around the world – 40% of which have shown a marked decline in the last 4 decades. Introduction of invasive species, increased urbanization, pesticide use, and climate change are some of the contributing factors that have led to this dwindling number. Although we seldom realize, insects contribute nearly $1.75 trillion to the global economy through their numerous ecosystem services – as pollinators, in biological control of pests, aiding in recycling soil nutrients, etc. 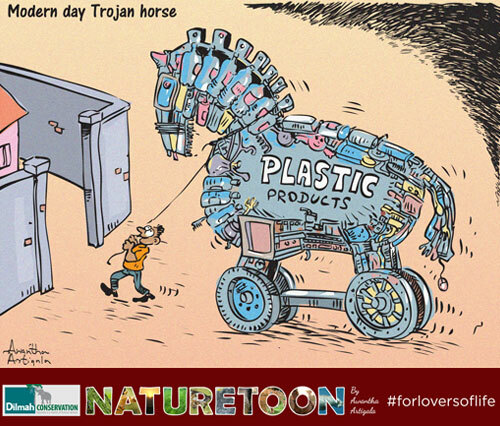 The survival of these tiny organisms is vital to our existence and our livelihood, and therefore we should take the necessary measures to safeguard their population." Fireflies have captivated our imagination with their choreographed dance of lights, each species emitting a pattern distinct from the other. These dainty creatures are among the 900, 000 species of insects that have been recorded from around the world – 40% of which have shown a marked decline in the last 4 decades. 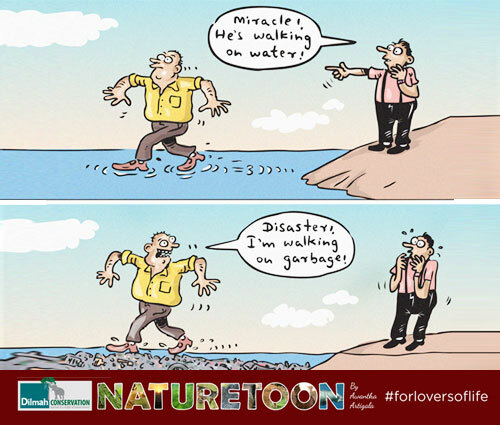 The survival of these tiny organisms is vital to our existence and our livelihood, and therefore we should take the necessary measures to safeguard their population. Fireflies have captivated our imagination with their choreographed dance of lights, each species emitting a pattern distinct from the other. Our oceans are slowly turning into a plastic soup as more and more effluents enter it - Ocean Conservancy reported in 2009 that nearly 60 per cent of this comprises of ‘disposable’ items like cigarettes, food containers, bottle caps, plastic bottles and plastic bags. Contrary to popular belief global forest cover is not decreasing. 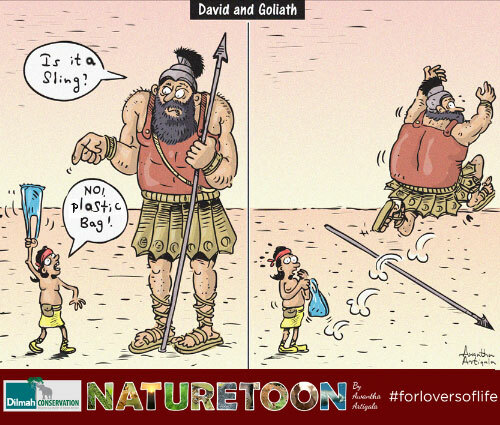 The same properties that make plastic bags useful and convenient – their durability, malleability, and lightness – also make them the most pervasive and dangerous pollutant of all time. 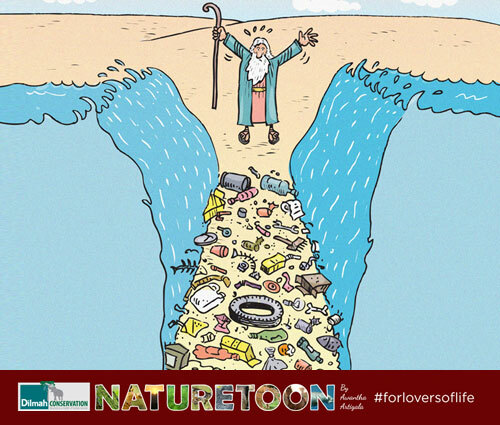 The Great Pacific Garbage Patch is the world’s largest accumulation of ocean plastics. 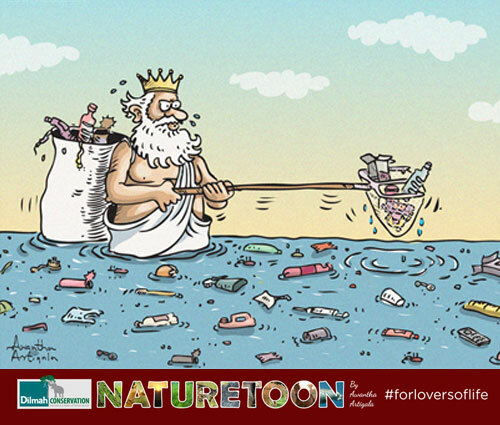 Over two decades ago, a plastic bag was discovered in the Mariana Trench – the deepest known part of our ocean. 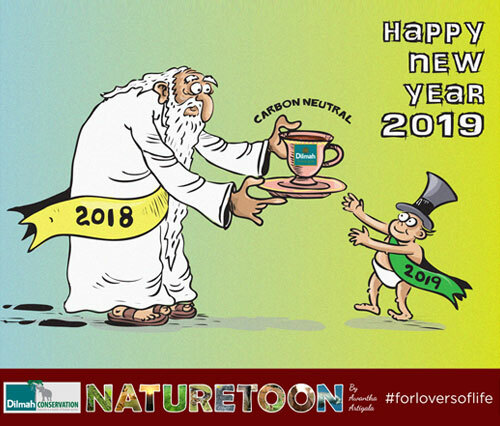 As we ring in the New Year, the cup of Dilmah Tea you will enjoy is entirely carbon neutral, with a combination of hydro and solar power, energy efficiency, forestry and sustainability initiatives that Dilmah has introduced in 2018. 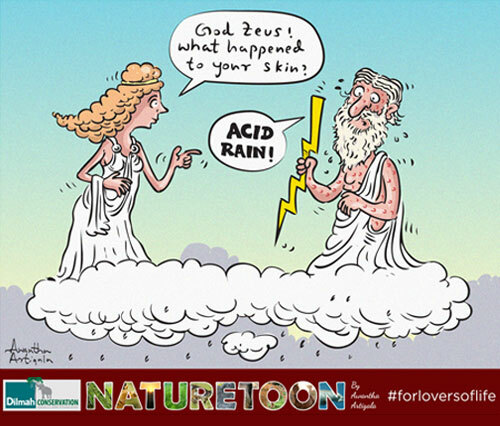 Fossil fuels are the main cause of acid rain today. Air pollution that’s released when burning them is absorbed by water droplets in the atmosphere and converted to nitric and sulfuric acid which then rains down on Earth, damaging soils and forests and entering waterways. 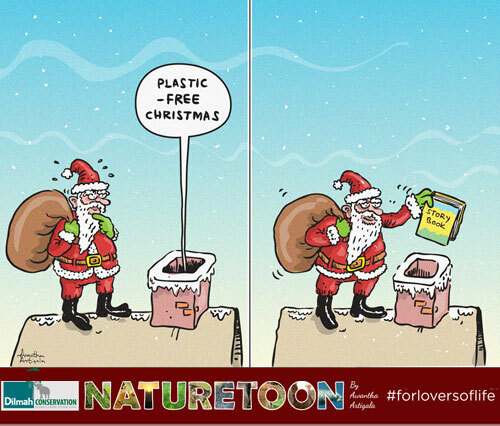 Waste can double over the Christmas season mainly due to plastic packaging and gift-wrapping material. 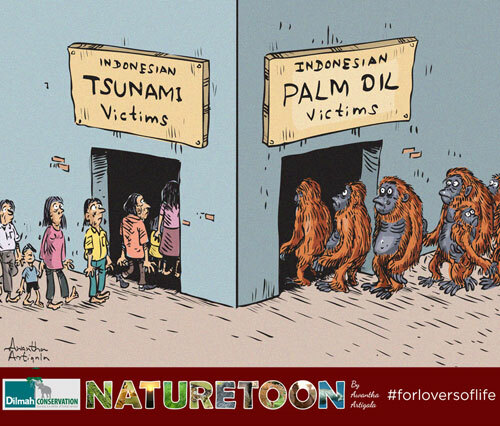 The zero deforestation by 2020 promise of the palm oil industry is failing spectacularly – Indonesian forests are being cleared at a rate of about one football pitch every 25 seconds resulting in the death of over 6000 orangutans each year. The bright flashing lights on screens not only harm your baby’s eyes but can also impede their mental and physical development.